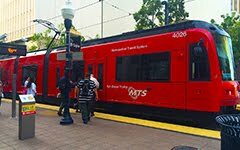 Georgia Straight: "John Bachar is a former mathematics professor at California State University in Long Beach and an advocate of what he calls a “fareless urban mass-transportation system”. “This antiquated method of letting everybody buy all this car insurance and pay for the maintenance of their car and drive in congestion and spend hundreds of millions of hours wasted away from your personal life because you’re spending so much time travelling in gridlock, it’s insane,” Bachar told the Straight in a phone interview from Los Angeles. Meanwhile, a 2011 study by the Victoria Transport Policy Institute indicated that there were $2.55 in costs to society for every dollar spent on a motor vehicle’s operating expenses."